Precautions to take when washing a classic car - Lee Soap is a industry leader providing turn-key products and solutions for the Automotive Care, Warewash, Laundry, industrial and janitorial industry. There are quite a few precautions classic car owners should take to protect their investments and keep their cars in tip-top shape. When it comes to owning a beautiful classic car, most owners like to see their investment washed weekly to remove all surface grime, dust or even chemicals from the roads that can deposit on the paint and ruin the lustrous shine. Washing away these impurities can help save the paint on the car before it is seriously damaged. 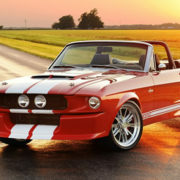 There are, however, quite a few precautions that classic car owners should take to ensure that they utilize the proper tools for overall carwash safety as well as procedures for keeping their classics looking their best without any scratching or marks that can occasionally be found when cars are washed improperly with the wrong materials. For most vehicles, especially those driven on a daily basis, a weekly wash is going to be normal. 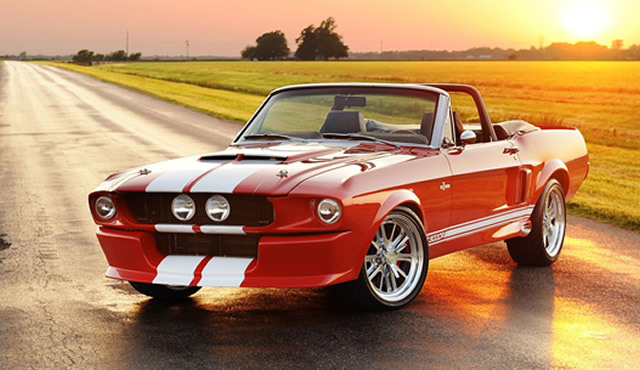 Classic cars do not typically fall under the normal standards that are set for modern motor vehicles and if you store your classic or keep it under a tarp or in a garage, a weekly wash may not be necessary. While a great number of classics are stored or garaged, there are also quite a few that are driven heavily and will need to be washed frequently just as any other vehicle. If you take your classic car to several car shows or events, locally or across the country, it will need to be washed whether you drive it or have it shipped on a professional auto carrier. There are quite a few contaminants in the atmosphere that can cause damage to paint on a car and no matter how one is traveling, these foul substances can, and do come into contact with cars. Bugs are one of the worst when it comes to damaging paint and other surface areas of a car as they not only cause grime to build up when they slam into a car but they can cause paint damaging scratches and even corrosion on the car. No matter what substance has caused dirt, grease, grime or other marks to be on the car, letting them stay on without a proper washing can really ruin a good paint job and cause the value of a car to rapidly drop. To ensure that this does not happen, it is always a great idea to make sure a wash is scheduled weekly to get the car clean. When it is time to detail the car with a good wash and even possibly a waxing, you need to use the right tools in order to make sure the car is not damaged during the attempt to keep it clean and looking vibrant and shiny. Years ago, many carwashes used hard nylon cords that would essentially scrape all of the dirt from a car while at the same time also leave some pretty hefty circular scratches along the door panels, hood or trunk while in the process of “cleaning” the car. Today, a great deal of professional carwash businesses have been choosing to use foam spray machines and softer water in order to prevent damage. There are also quite a few carwashes that use eco-friendly soaps that help keep the environment clean as they are washing cars. This is great for not only modern cars, but also for classic and collectible cars and trucks as it helps prevent surface scratches that can cause expensive damage on an expensive and hard to find automobile. To wash a classic car with a low risk of damage, be sure to use sheepskin or cotton chenille washing mitts when at all possible as they are soft and leave no marks when used on the surface. They also tend to glide along the car’s surface and easily fit into all areas from large, flat areas to the tiniest nooks and crannies from front to back which makes the whole wash go by much faster than when using a heavy brush or large, bulky sponge. It is very important, especially when you are washing a classic car, to have everything washed in the best sequence possible in order to achieve the best looking end results when you are finished with the wash.
Start at the top. No matter what kind of a car or truck you may be washing, starting at the top is always going to be a must if you want the best results. When you start at the top of a car, it prevents grime from falling onto a section of the car that is already clean and re-contaminating it. If you were to start at the bottom of the car, you are bound to get harsh metal shavings from the brakes as well as oils and other dirt from the roadways all over the car. When you begin at the top, all of this safely washes away and is not pulled from one area of the car to another where it could potentially cause paint scratches or other damage. Use the right soap. There are so many people out there that will pull their car into the driveway on a hot and sunny day and wash it with dish soap. This may be great when you want to scrub grease away from pots and pans, but when it comes to a car dish soap can be very harsh and will make the paint look extremely dull and lifeless. Help customers understand that professional carwash soap are thick and foamy and will leave the classic car body looking as fabulous as it should. Get the wheels last. Once you finish all of the painted surfaces of the car, you can start on the wheels and tires. These should always be cleaned last as they are the grimiest areas of the car and tend to have plenty of buildup on them that includes thick grease, brake shavings and thick mud or soil from roadways. Finish it up. Once you have washed the entire vehicle it is best to use a steady stream of free-flowing water to make sure all areas are thoroughly rinsed and soap free. Many carwashes now offer a steady water flow that causes the water bead up on the car which helps to keep the car spot free once you drive away. After the car has been fully washed, it is very important for a classic car to be completely dried before it leaves the carwash parking lot. Since water contains small minerals, it will dry and leave mineral marks on the paint of a car. Drying is one of the most important steps when washing a classic car and you need to use a soft leather chamois or a soft microfiber towel instead of regular hand towels as these can scratch the surface of the car. When you are drying, again start at the top and move your way slowly to the bottom of the car. Be sure to dry even the tiniest crevices of the car as rust is very prone to set up in classic cars and always make sure the towel that you are using is clean and dirt free. Always dry the tires and wheels last to ensure that no grease will be spread back across the paint once you have it completely clean and dried. Changing towels often when drying a car is going to be imperative when it comes to having a shiny and clean car when you are finished. A market leader, Lee Soap’s car wash products set the industry standard for service excellence and product innovation. Product quality, consistency, availability, and packaging are under continual review. Facility upgrades, equipment upgrades and quality control programs assure our customers the best possible value for their money.